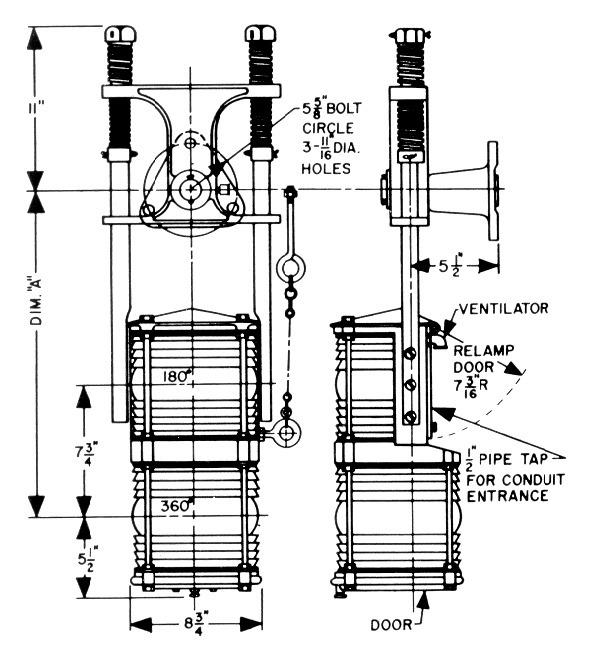 Spring suspension pivot support vertical lift or bascule bridge light. 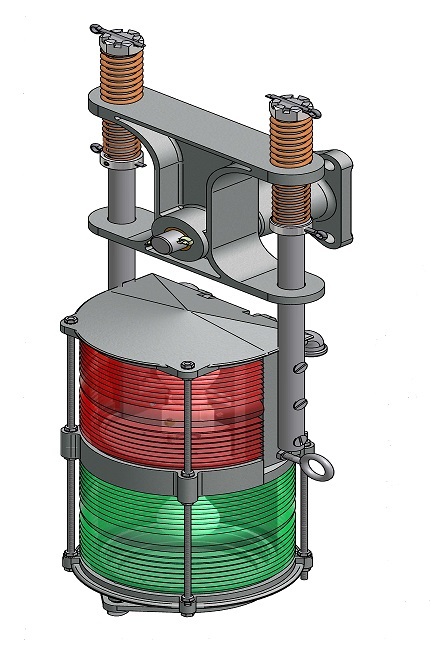 Normally supplied with 180° red fresnel lens in top and 360° green fresnel lens in bottom . . . but can be supplied in any combination of red, green, clear and amber lenses. Support rods are 1-inch diameter phosphor bronze.